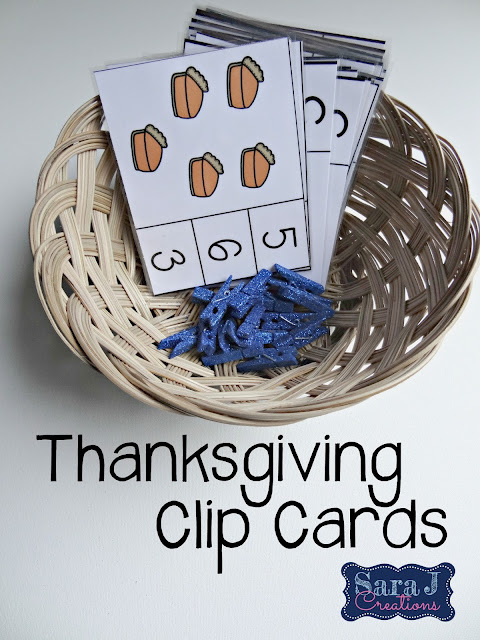 Do you use clip cards in the classroom or at home with your little ones? 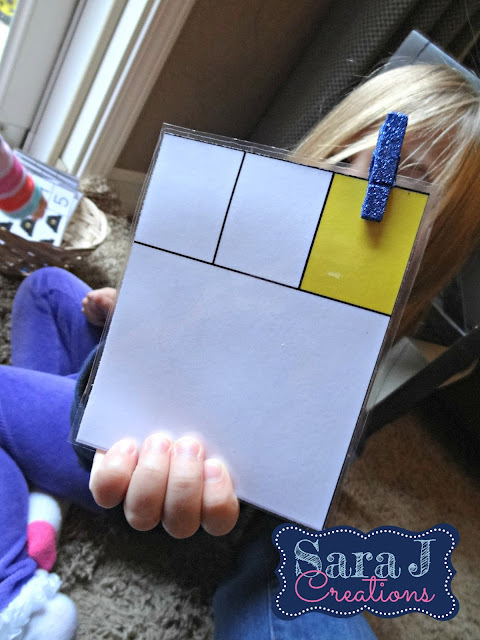 They make an easy math center - just add cards and clothespins and you are ready to go. It is that easy!! 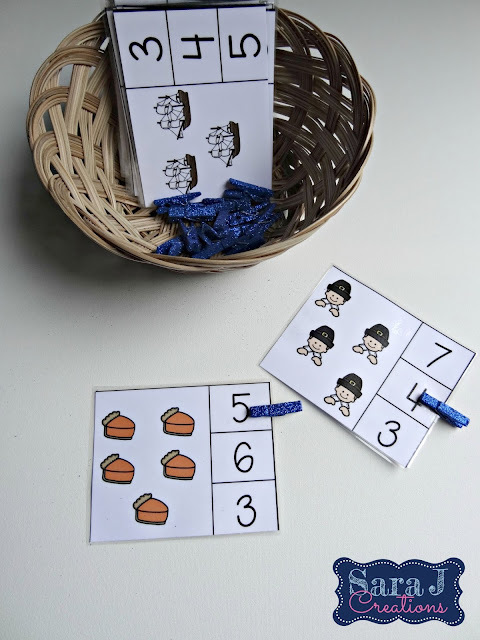 I've been using clip cards at home with K to practice counting. I decided to make some Thanksgiving themed ones for her to play with this week. When we were at Michael's the other day, I told her to pick out her favorite mini clips so that we could use those with our new cards. These glittery babies are the ones she picked. Yes, they leave traces of glitter. Yes, I'm okay with it. It is so hard to take a picture of her working on the cards because the card is always in motion. She counts the pictures and finds the matching number. Not only is she working on counting and one to one correspondence but the clothespin gives her a little fine motor workout. Win, win! I also put a self check option on the back. Last year, when I made a set of these for a friend that teaches kindergarten, she was worried about the accountability piece if she just let her students play with them at a center. I added a yellow rectangle to the back of the card so that students can flip it over and check to see if they picked the right answer. K flipped it over and said, "Here mom, take a picture of this so that you have it on your phone." Kid of a blogger for sure!! 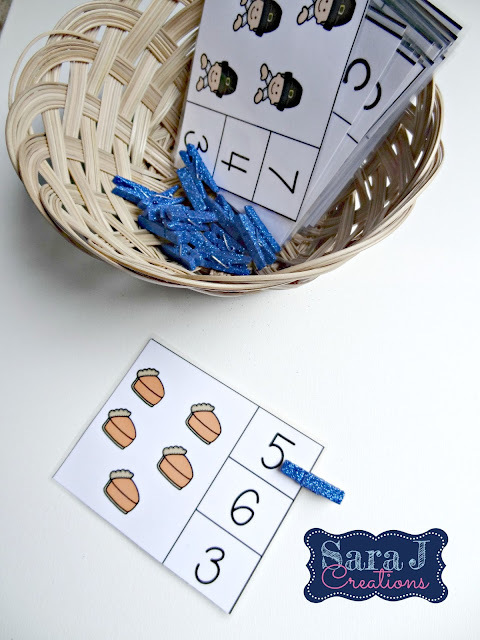 Grab the numbers 1-5 clip cards a freebie in my TpT store HERE. I've also created cards for numbers 1-30 that look just like this but extend the learning even further. Grab the numbers 1-30 clip cards NOW.